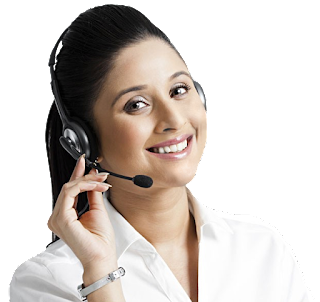 It is basically a procedure that is related with telephone switching system that helps in directing the calls to a different place as in voice mail or any other contact number where the person is available. Earnest John Bonanno was the person who developed this technique.The incoming calls can be redirected to any alternate number given by the user. The call can be diverted either on landline or mobile. It is also possible in the case the phone is switched off or the caller is busy on another call. This technique is also possible in case your phone is switched off. The line that is forwarded rings sometimes that is a kind of notification for the customer about the call. No additional charge is taken for how to forward calls. Call Forwarding is absolutely free when we dial a number and the number seems to be busy or is not answering the call. There are different countries who are using this method of redirecting the calls. How Call Forwarding can be used for Mobiles? It helps in redirecting the calls that are suppose to be taken by you through your mobile to your landline or any other number. Outgoing calls can be made even if this feature is turned on. It can help you in cutting the cost by forwarding your calls to a landline. In case you make calls to overseas or long distance then your bill will be according to the distance. You have two option of receiving bill that is either by paying per use or by adding the rate plan to call forwarding mobility on monthly basis. It is a feature that has the capability to automatically connect a customer’s incoming call to some other number as provided by him or her. It may use the number virtually given by the user. The indication for redirecting calls is given by a stutter tone. It is one of the excellent feature that helps in connecting to the virtual number given by the customer. Once the call is connected, it is considered to be effective. In case the user is busy or not receiving the call on the other number too then we must repeat this process until the call gets connected. There is also one feature called as Special Call Forwarding but that can only be used is the number is busy or this kind of feature is activated only for few selected numbers mentioned by the user. One of the most important advantage of this feature is that it can easily connect the call to any virtual number given by the user. It is cost effective, no extra charge is taken for it only if it is done within the specified area. For long distance they may charge. It allow the user to avoid the voice mail messages, using this feature they can add another number where their call can be forwarded or even the user can set a voice message on the number provided by him. It offers the feature of mobility as it allows the users to travel and he can take calls at the same time without any work hassle. This feature is gaining importance and is making its presence all the over the world.